Our four family rooms provide a lovely setting for residents and their guests to relax and socialise. They are more private than the larger communal areas and offer a kitchenette with tea and coffee-making facilities. Family rooms all have balconies and those on the river side also have a seating area where everyone gaze over the water, enjoying the activities. Outside of visits, the family rooms are used every day for breakfast and supper – rather than the main dining room. 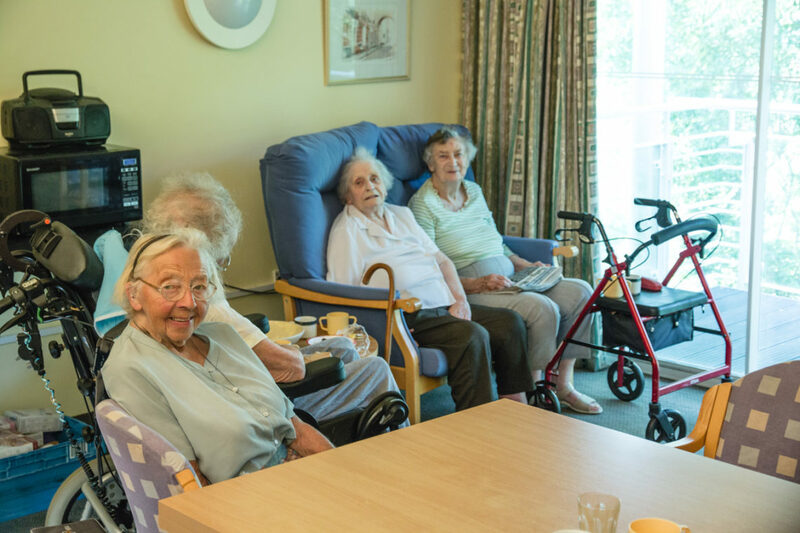 This helps to enhance the close-knit atmosphere of our home, with residents making strong friendships with those on their floor, without feeling overwhelmed in a larger room.